As an attorney and resume writer, I am often asked whether a legal resume requires a different formulaic equation compared to resumes written other industries. Resume writers mistakenly believe that they can formulate a resume for a lawyer the same way that a non-lawyer’s resume is written. Why is a legal resume different? If you are a law firm lawyer, your work is set on a specific practice area (family law, civil, criminal, etc.) and you tend to separate yourself between transactional work and litigation. Candidly, most law firm lawyers do not roll up their sleeves and take on complex business issues unless they are a shareholder and maintain equity in the firm. However, if you are a corporate counsel, you pivot between legal issues and business strategy on a daily basis. More than 80% of the legal resumes I write are for top corporate counsel (usually at the general counsel and CLO level), and there are specific areas that those resumes must focus on: governance, compliance and risk, executive business leadership, and commercial transactions (M&As, deal negotiations, and contracts disputes). A corporate counsel resume is very much at the intersection of business and law. Therefore, writing a resume for that type of audience requires a clear understanding of how the legal world operates just as much as how the business world functions. When it comes to writing a legal resume, I always recommend working with a resume writer who is a former lawyer. Recruiters are great, but they aren’t trained in the art of resume writing. 85% of resume writing is pure strategy. You wouldn’t run a marathon without doing the training (or getting guidance from a running coach), so why apply for a role in the most competitive arena without consulting with a resume writer who has been in the trenches of in-house and law firm roles? There are only a handful of attorney resume writers out there, and I am transparent about the fact that you should consult with each of us, and then go with the attorney resume writer whose process best suits your needs. Remember, that if more than 60% of executives hire a professional resume writer, and corporate counsels are considered at the top of the executive list, the playing field for corporate counsels is even more competitive. According to a recent survey from the Association of Corporate Counsel, more than 70% of U.S. general counsels come from an in-house counsel background as opposed to a law firm. My law firm lawyer clients have a difficult time making a transition into a corporate counsel role, particularly if they have not garnered expertise in the areas I mentioned above. The best places to look for corporate counsel roles include ACC, Go In-House, and LinkedIn. If you are looking to build your legal resume and brand, it’s important to heavily network with corporate counsels in the target vertical. IP and tech law are hot areas right now. Begin building relationships with corporate counsels who currently specialize in those areas and work at companies that interest you. If you are interested in tech law, I recommend getting certified in data privacy and cybersecurity. The CISSP certification, in particular, is a top one to obtain and is often required for tech law attorneys. In-person networking events are also fantastic ways to build contacts. Last October, I went to a corporate counsel CLE, and I made sure to connect on LinkedIn with all of the panelists and speakers. I tend to build my own contact list around ideal and target clients, and job searching is no different. Do not be afraid to get out there and be the president of your own marketing campaign. Think about it: job search boards have only a 4-8% response rate, but networking has an almost 80% chance of getting you a new job. Applying that statistic to your own job search requires you to get out there and start building your LinkedIn connections as well as setting up in-person meetings with the corporate counsels at your targeted companies. 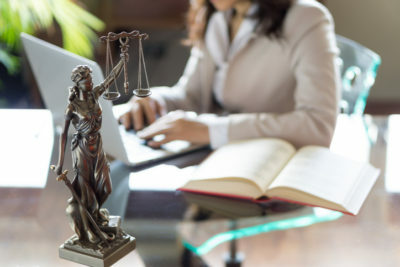 Consider attending an annual event sponsored by organizations like the National Association of Women Lawyers or the Association of Corporate Counsel. There are ways to get involved and get your foot in the door beyond just the traditional means of applying through online portals. Have additional questions about your legal resume? 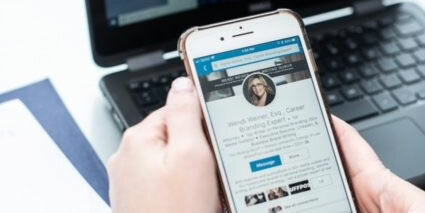 Book a consult with me, Wendi Weiner, attorney and award-winning career expert. This entry was posted in Legal Resume Tips and tagged attorney resume wendi weiner, attorney resume writer, best legal resume services, best legal resume writer, how to write a corporate counsel resume, how to write a legal resume, how to write an attorney reusme, lawyer resume tips, legal resume services. Bookmark the permalink.